Will I Get Banned from YouTube If I Buy Views or Subscribers? 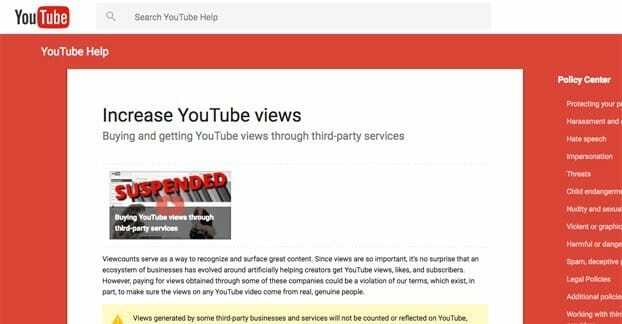 Blog > YouTube > Will I Get Banned from YouTube If I Buy Views or Subscribers? YouTube is a bit of a social network, but all of the real value comes from videos and the views they get. Sure, you can focus on trying to get links back to your site, but who is going to even check the description or watch the ending ads if your content is terrible? No, views are the core of your marketing. It stands to reason, then, that you would want to pay money to get more views. At the same time, enterprising entrepreneurs set up businesses to sell views, all across the spectrum of viability. So, can you buy views? Is it safe to do so? What would really happen if you bought a lot of views? There are views, and then there are views, you feel me? No? Alright, well I’ll explain. Views come from all sorts of people and all sorts of places. Some of them are better than others. Not all views are created equal. You can see this in your analytics, even. Views from different countries, views from different demographics, and so on. Views come in two major categories: real and bot. Real views are real people, and act like it. Bots are bots, and often try to imitate real people, but are also often caught. There’s a scale to both categories, though. On the bot scale, you have good bots and bad bots. Good bots are excellent at imitating real behavior, have valid referral information, and often slip past YouTube’s filters. However, they’re also a lot of work to set up and keep running, so they’re only available in low volumes. On the other end, bad bots come in massive numbers, because they’re spoofed data and IPs all using the same behaviors. They’re cheap and plentiful, but they’re also easy to detect and filter. The scale of human viewers is similar. At the bottom end you have legitimate people who are “watching” a video without actually watching it. They might be clickfarm users being paid to watch videos. They might be people stumbling upon embedded videos with autoplay enabled, possibly even hidden behind other elements of a site. They might be infected with a virus that loads videos in browser tabs positioned way off the side of the screen, so there’s no indication besides bandwidth drain that they’re being watched. In the middle, you have a lot of casual viewers who view random content on YouTube, but aren’t really that interested in what they’re doing. They put videos on in the background, but they don’t click links or read descriptions. Some of them have adblockers enabled so you don’t even get ad revenue from them. Still, they’re views. At the top end you have all the great, engaged viewers within your demographics and target areas. They’re perfect, but hard to buy. You can, though! More on that later. Buying views is not banned by YouTube entirely. You can buy legitimate views, but you cannot buy bad views without risking sanction. So, the consequences of buying views depend on the quality and source of those views. Buying legitimate views is perfectly fine, even expected as far as YouTube is concerned. However, what they mean by “buying views” in this case is using AdWords to dig into PPC marketing. You figure out your demographics, you make ads, you get people onto your page and you get them watching your video. This is valid and viable, of course, but since it’s expensive it’s not the ideal for many people considering buying views. The price you pay for a view on AdWords might get you 500 views from a different seller. Buying views that come from redirects, from pop-unders, from deceptive layouts that hide the video and autoplay it, or buying them purely from a site like Fiverr that provides bot/clickfarm views at a rate of thousands per dollar, those are all bad methods of buying views. Here are the consequences in order of severity. The views will not be counted or will disappear. Your video can be removed. Your account can be suspended. The first consequence is relatively minor. In fact, if you remember the old 301+ view count bug, that wasn’t actually a bug. It was, in fact, YouTube flagging the video for view auditing. There are tons of videos on YouTube, and the site only has so much processing power available. They decided to set a threshold, below which they simply didn’t care. Once you hit 300 views, they would start to care, and would audit the count. This is why videos with a lot of fake views could hit 300, freeze, then drop back down when the bad views were removed from the count. Now, it’s entirely possible that nothing else happens. Fake views happen all the time, and you don’t have to buy them for that to be the case. YouTube understands this and won’t punish you unless there’s clear signs that the views have been purchased. If you’ve been caught buying excessive views, or doing so repeatedly for the same video, it’s likely that YouTube is going to remove the video rather than deal with trying to reprimand you in a way that won’t simply result in finding ways to hide your habits. 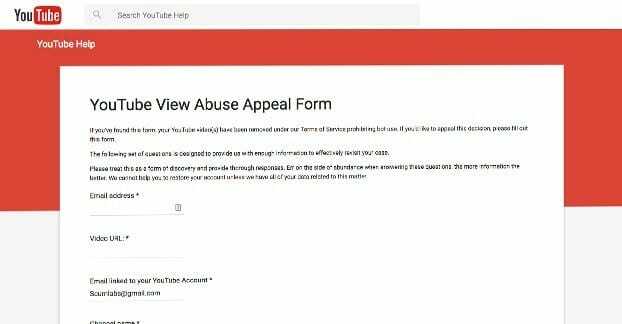 If you’ve had a video removed for “viewcount gaming” as it’s called, you can use this appeal form to get the video restored and whatever flag was placed on your account lifted. Did I mention they flag your account? It’s not a visible flag like a copyright strike, though, it’s more of an internal flag. They recognize that you have been caught for the issue once, and will be on the lookout for it happening again. If it does, they will be less lenient. They might still simply stop at view or video removal, but the more this happens, the worse the penalties can be for you. At the extreme end of the spectrum, through constant, widespread abuse, you can find your account as a whole completely suspended. This is why a lot of the view sellers out there advertise their views as “safe,” though there is no way they can actually guarantee that short of sending real, valid views or spending on AdWords campaigns themselves. At the extreme end of the spectrum, there can be broader consequences. YouTube videos are monetized through AdSense, and AdSense has strict rules about gaming their system. Buying views to unmonetized videos is one thing, but if you’re buying views in a way that earns you money, they’re a lot more likely to crack down. All of the above penalties are likely to be escalated, and what’s more, you can potentially be blocked from AdSense entirely. This can be devastating if you use that account for other sites as well, particularly since you can’t register another account. There are essentially four methods of buying views. The number one way to buy views is to go through the official channels, that is, AdWords. By paying Google for YouTube views, you’re keeping money within the family, so to speak. You also show that you’re not in it for the profit, because you’ll end up paying more than you make from the monetization for almost every niche and every case. This is the best way to buy legitimate views, and is very, very unlikely to result in negative action. The second way is to pay for legitimate views from third party sources. This option ranges from the most legit Fiverr sellers on the bottom, all the way up to PPC through sites like Facebook and Twitter. The views you get are legitimate, but they may be obtained through incentivized means. For example, there are sits that give people credits when they watch videos through an iframe. The credits they earn can be spent on gift cards and other such pittance redemptions through the site itself, once they rack up hundreds of hours of view time. Those are technically legitimate views, obtained in a sketchy way, and it’s a tossup whether or not YouTube is going to detect and penalize them. The third way is to pay a low quality seller $10 for 100,000 views or whatever it is you get on the low tiers of Fiverr and from the really shady websites out there. You’re going to be getting bots in droves, and the majority of them are going to be filtered. 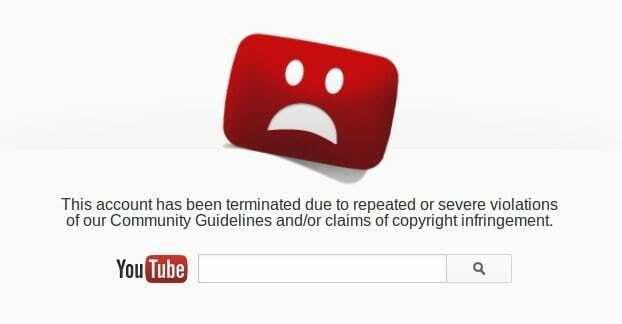 YouTube may or may not penalize you, with a slant towards the likely end. At best you’re losing money when you pay for something completely worthless to you. At worst you lose that money along with the account you were trying to bolster. The fourth method is to go to the nearest urban center and find as many homeless people as you can find. Take them to the local public library – which usually has a bank of computers – and sit them down. Tell them to browse through your YouTube catalog, watching your videos one after another, and you’ll pay them $5 each at the end of the day. In case you were wondering, no, that’s not a real way to buy views. I mean, technically, I guess you could do it, but it’d be expensive for a handful of views, it’s not sustainable, and you’re likely to be mugged. Fake accounts on social media are a lot easier to spot than fake views on YouTube. This is primarily because you can’t view individual view data. You get nothing more than aggregate demographics. However, when a video might have fake views, you can usually make some informed guesses as to whether or not the views are fake. 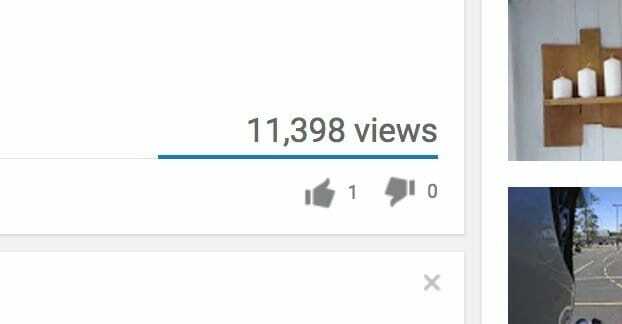 If the view count for the video is oddly high, it could be fake views. Now, I have a test channel that has a dozen or so videos that got under 50 views, and one that caught attention and was put through the native YouTube suggestion engine, and ended up with 9,000 or so. I didn’t buy any views or ads for it and have not promoted it in any way. So, this isn’t a 100% reliable way of determining fake views, but it’s one red flag. 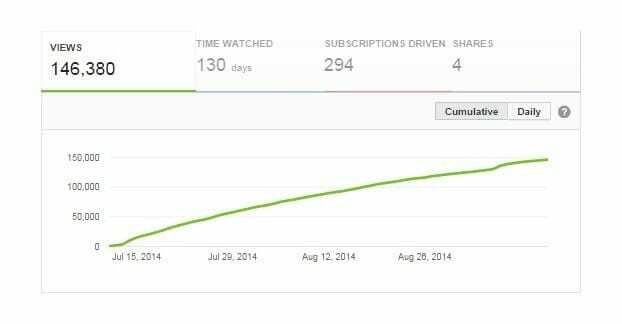 If the channel has far fewer subscribers than its view count would indicate, it might be a case of fake views. Generally subscribers will rise along with views, and massive numbers of views – in the hundreds of thousands or millions – will mean the channel has at least 100,000 subscribers. If videos have a million views but the channel has 100 subscribers, something is fishy. If the video has massive numbers of views but nowhere near that many likes, it might be a case of fake views. Only a fraction of the people watching will like or dislike a video, but they’re still going to do it. Fake viewers won’t at all. The video has very little engagement. That test channel’s 9K view video got something like 36 comments, which isn’t out of the ordinary. If that same video had 100,000 views and 36 comments, it’s a lot more likely to be fake views. You can also use some analytics provided by YouTube in the “more” button next to the share button. The bar graph shows statistics and shows the performance of the video over time since it was published. A natural curve is just that; a curve. A fake curve will have larger jumps and flats. One thing you may have spotted is the fact that I never say that it has to be you buying views to your own videos that get it pulled. I’ve seen accounts of people buying mass views for their competitors to get their videos pulled, with some moderate degree of success. I can confirm that it happens, but it’s not consistent and it’s not always possible. Don’t embark on a negative view campaign without very good reason, least of all because it’s immoral and unethical. No, I bought a bunch of subs and I still monetize my channel. Just worried that I might get banned. Thank you for sharing this blog.You did a great! Hoping for more article about YouTube.